Black garlic? No need to adjust your set. 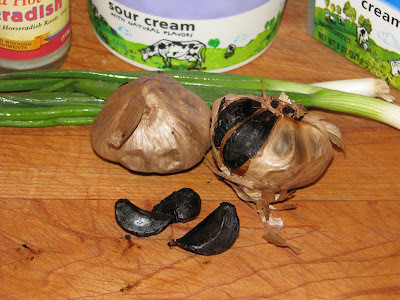 This garlic is fermented at high temperatures and then aged to transform the bulbs to this black color. It is a unique and flavorful ingredient that is used in Asian cuisine. I first heard of this from Zia from ‘Zia in the Kitchen’. She made a Morel risotto with her black garlic. 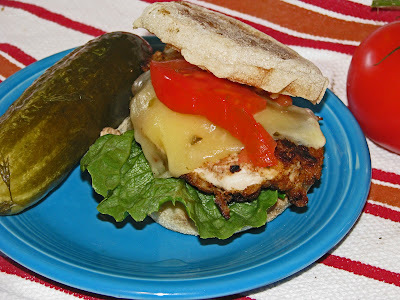 Sandwiches are in vogue these days and I am going to jump on the bandwagon. 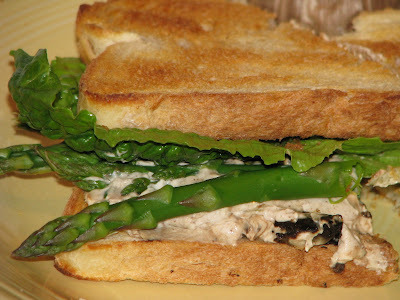 An Asparagus sandwich with a black garlic cream cheese spread will be my creation. Black garlic is sweet smelling with a slightly fermented odor. The flavor is like a balsamic vinegar or molasses with its sweetness. There is a lot of flavor in these cloves. Hints of vanilla, soy sauce and chocolate with a mushroom type finish are some of the flavors I experienced. The texture is soft and a little chewy. A dollop of cream cheese and sour cream was mixed with half a dozen black garlic cloves. 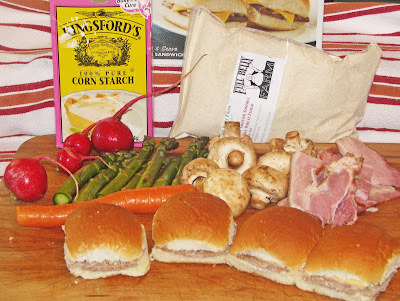 A pinch of horseradish and a little chopped green onion was added to put a little kick into this creation. The mixture was stirred until smooth. It was spread over some toasted sourdough bread and topped with freshly steamed asparagus. A leaf of lettuce cradled our sandwich filling. This was one beautiful sandwich. 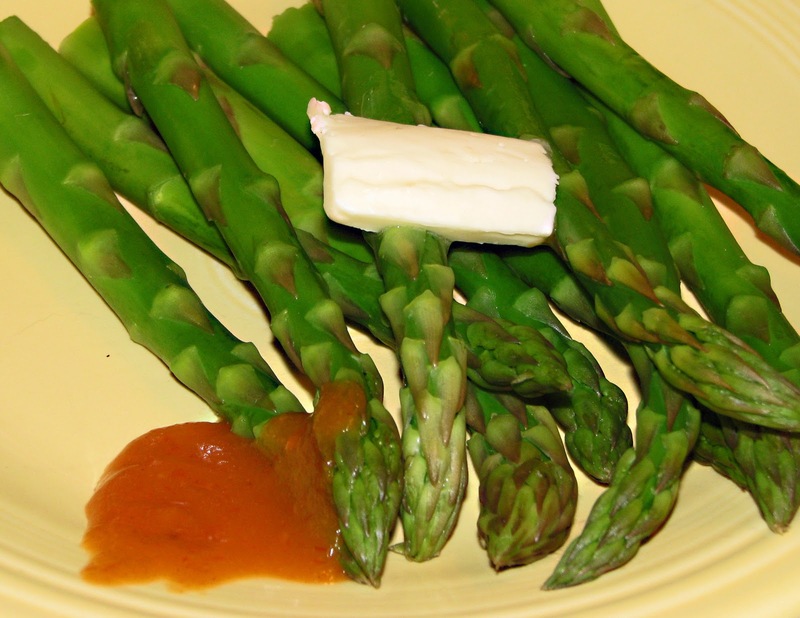 The garlic and cream cheese added such a dimension to our asparagus. Black garlic is a new tasty, complex ingredient that will have to be explored deeper. The sky is the limit of what we can create using black garlic. I cannot wait. Cut the chicken breasts into halves and pound them till they hurt and are thin Try to use even strokes to make each breast piece similar. The next step is to flour, egg, and bread crumb wash. Cook until tender and brown..
Our chicken breasts pounded with our special tool was topped with a piece of jack cheese and was melted. It then was served with fresh pasta and home made sauce. Oh mang! This was an especially good meal. Do you need a designated meat pounder? I do not think so. Thanks Zoomie for our new tool, You are a good friend! ‘March Madness’ has created a gravity that has left me glued to the couch this weekend. I attempted to watch 32 NCAA tournament basketball games over a two day period. I was well on my way when Ms. Goofy demanded we leave the house and go out to lunch. She wanted to go to ‘Homeroom’, a restaurant that just recently opened. 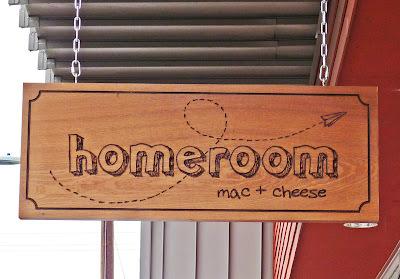 Homeroom’s specialty is Macaroni and Cheese. I could not refuse because I was starting to root. We jumped into Ms. Goofy’s formula one racing Honda and made a FastBreak on the Blacktop to Oakland California. Luckily the Highway Referees did not see our high rate of Traveling and the Double Dribble of sweat on my brow. Upon arrival we were greeted with a small line of people. 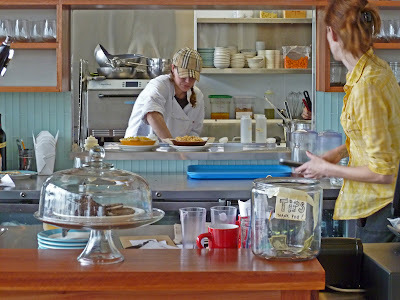 The owner Erin suggested that we sit at the communal table and that was fine with us. Homeroom has a school room theme throughout this small restaurant. Blackboards, library index card cases and a beer dispenser. How come my school did not have a beer dispenser? The menu is simple. 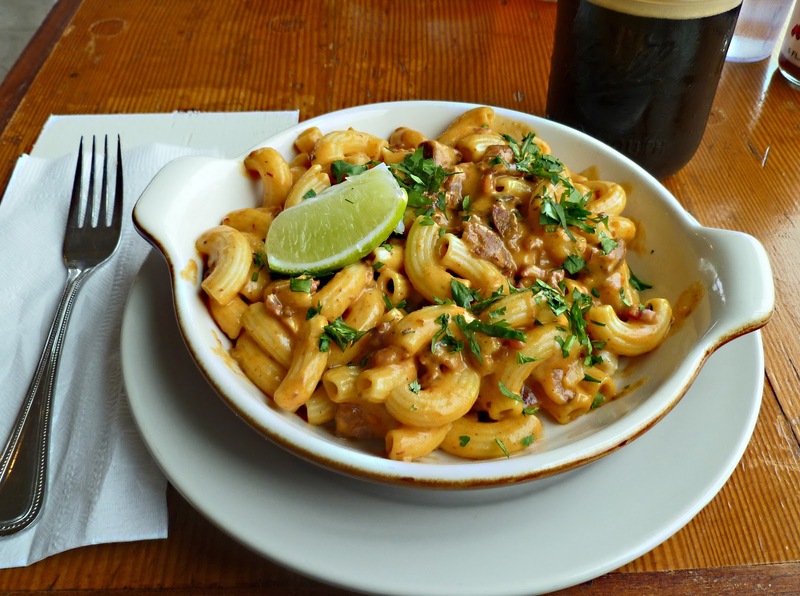 Several different combinations of Macaroni and Cheese are offered. You then can customize your dish with extras such as; breadcrumbs, mushrooms, peppers, bacon, vegetables, etc. etc. There are salads and desserts offered also. 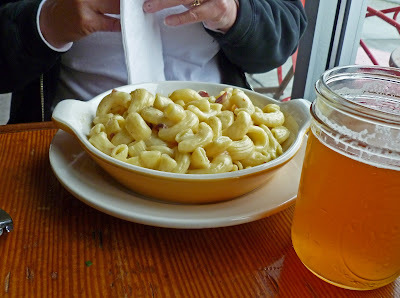 Ms. Goofy chose plain macaroni and cheese with extra bacon. ‘Mexican Mac’ which included chorizo, chipotle peppers, jack cheese and topped with bread crumbs and cilantro was my choice. Yes, of course I added extra bacon. The dishes were served very promptly. Homeroom is a nice place to have a cheesy plate of pasta for lunch. 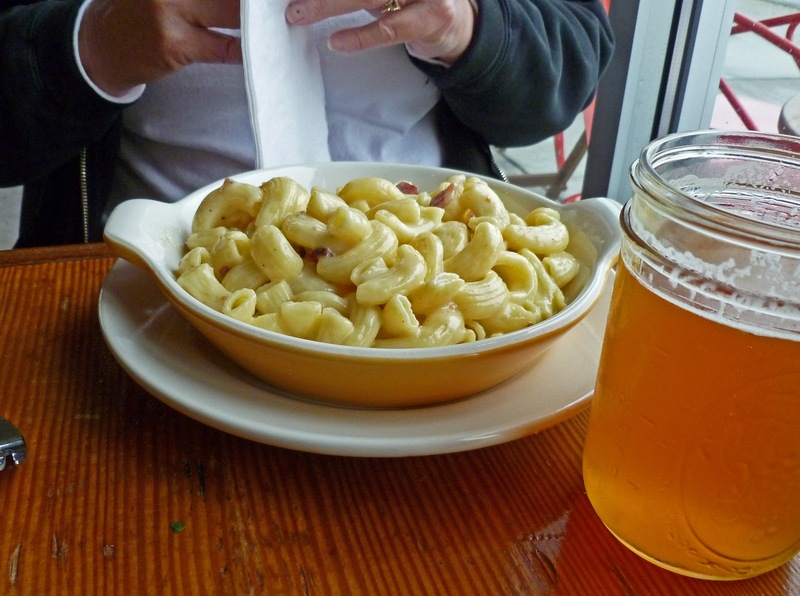 Order the macaroni and cheese combinations off the menu and customize it anyway you desire with the extras. We picked up a buttery and chocolaty brownie ‘To Go’ to bring back to the couch. I have a lot of basketball left to watch. 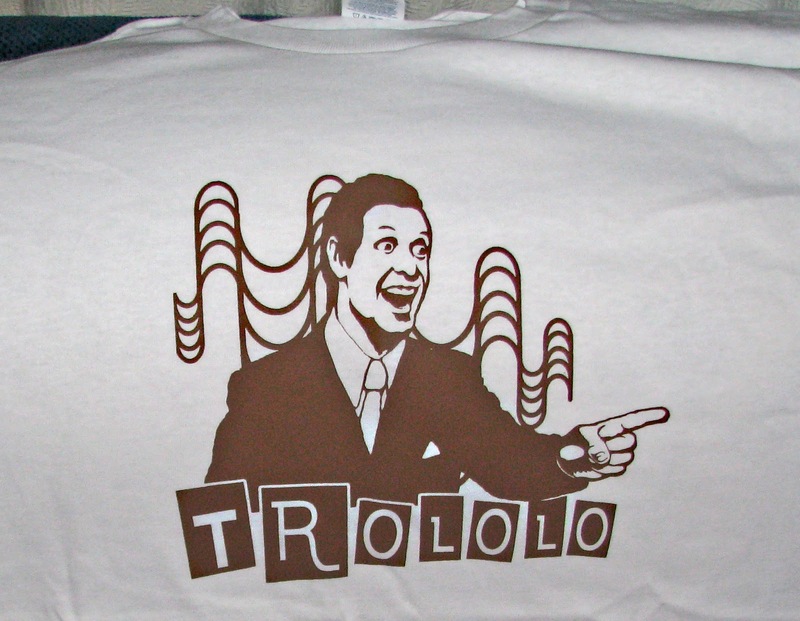 Did you have your fill of green beer? Everybody has a little Irish in them on St. Patrick’s Day. My green beer swilling days are long past. That is to say the beer is just not green now. It is the day after and it is pouring rain. The wind is so strong the rain is coming down sideways. It is not the most ideal day to fire up the smoker. I am on a mission to bring the Mad Meat Genius readers some smoked corned beef. 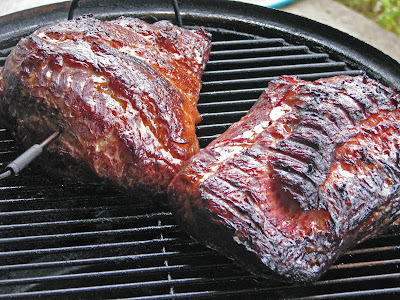 We are going to smoke some ‘On Sale’ corned beef, point cut that we picked up at the ‘Local Wally Mart. This is too good a deal to pass up. 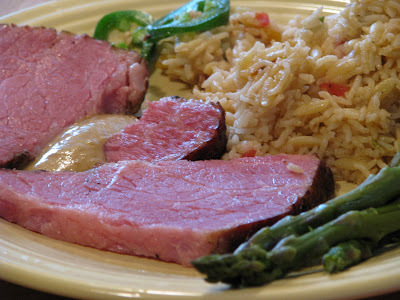 Put on your raincoat and grab a green beer and let’s smoke some corned beef. The corned beef is very salty coming out of its package. I soaked it for 24 hours in cold water. It was put it in a pot that went into the refrigerator. The water was changed several times. When smoking meats it is a good idea to let them form a pellicle. This will prepare the meat to accept more smoke. 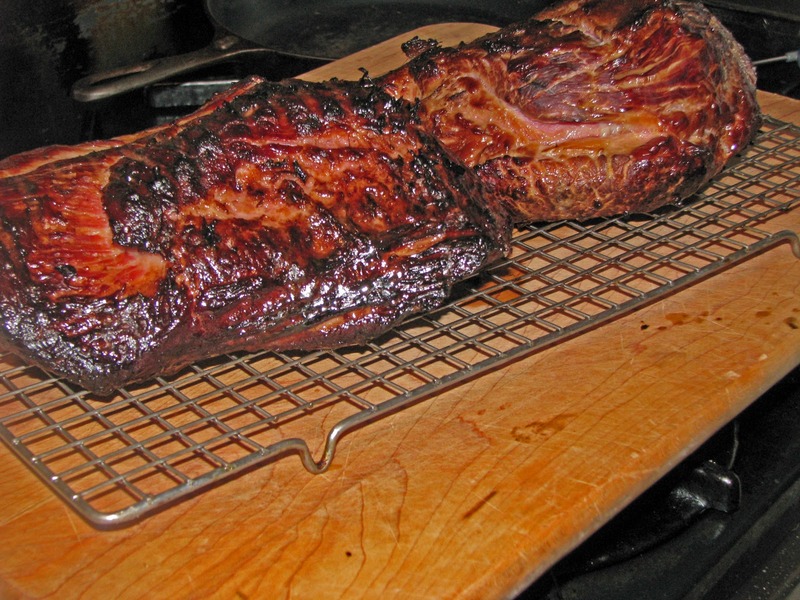 This is achieved by putting the meat on a cooling rack and placing in the refrigerator, uncovered, overnight. The smoker was lit and that was no easy task in this rain storm. It was smoked with several chunks of hickory wood. The meat was cooked at 230 degrees for approx 6 hours until the internal temperature reached 165 degrees. Once our target temperature was reached they were pulled and wrapped in aluminum foil. They were held and rested for several hours in an insulated ice chest until dinner time. 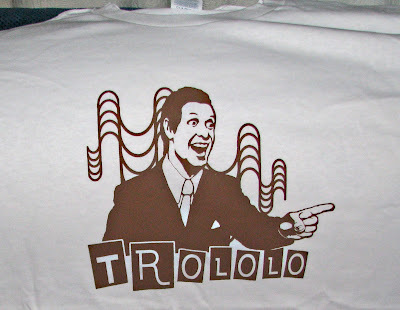 I just received my t-shirt. Turn it up, sit back and relax. I guarantee after listening you will feel better about everything. This is for you "Great White Hunter". It is raining cats and dogs goes the saying. We have little glimmers of sunshine, like this past weekend. Spring is just around the corner. Locally grown asparagus is here and 'Boy O Boy' am I happy. Asparagus could be a new meat group as far as I am concerned. Steamed, boiled, grilled, and even raw is my favorite way to cook these green shafts of flavor. 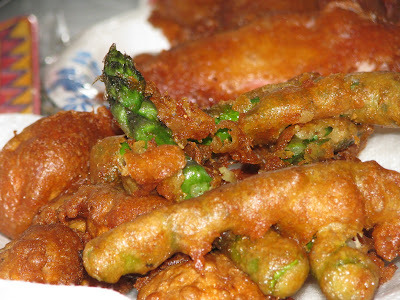 With Asparagus comes the "Asparagus Festival'. 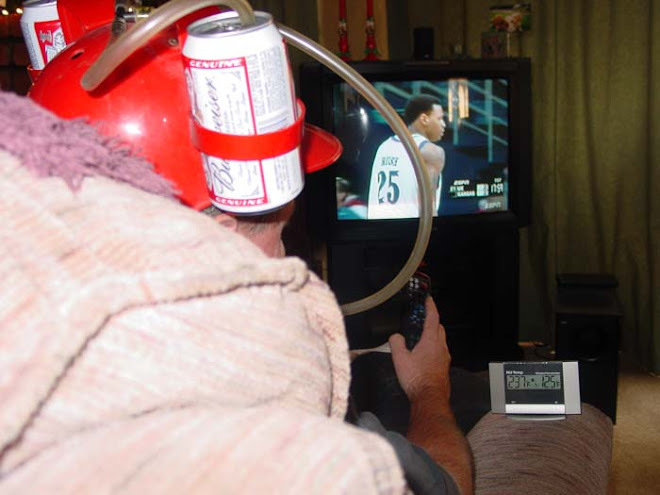 This is a must do event in the Chilebrown household. We are looking forward to seeing Joey 'Jaws' Chestunut' reclaim his title as the 'World Championship Deep Fried Asparagus Eating Champion'. We cannot wait. It was a beautiful sunny day at the Meathege labs. 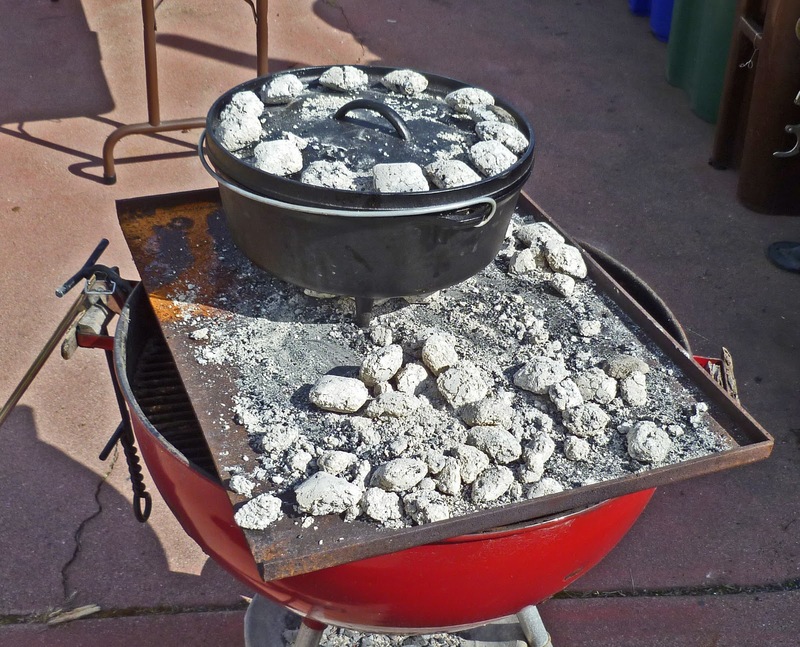 Three teams of black iron warriors were present to battle with their ductch oven pots. These teams were prepared to create and cook for a communal food finale. 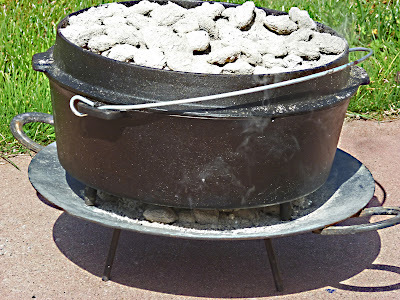 This was a Dutch Oven Gathering that will be remembered long after the heart burn subsides. It was high noon and time to light the fires. We had several meat groups represented today. 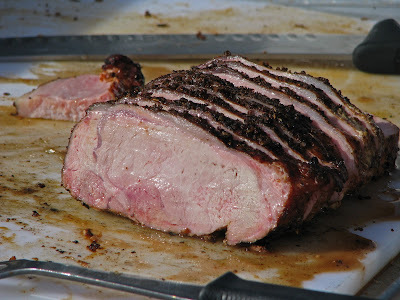 Smoked tri-tip that was procured from the UC Davis Meat Lab was served with some roasted potatoes. A beautiful rabbit stew sizzled and bubbled in one of the cauldrons. 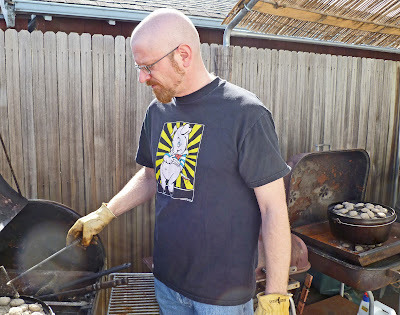 Chile Verde was created by the infamous Dr. Biggles. 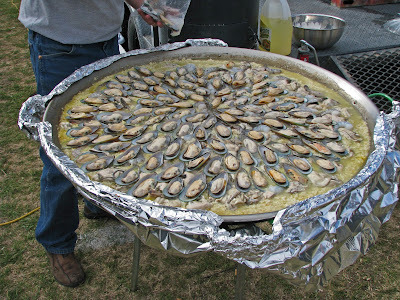 You know that this dish would be something special. 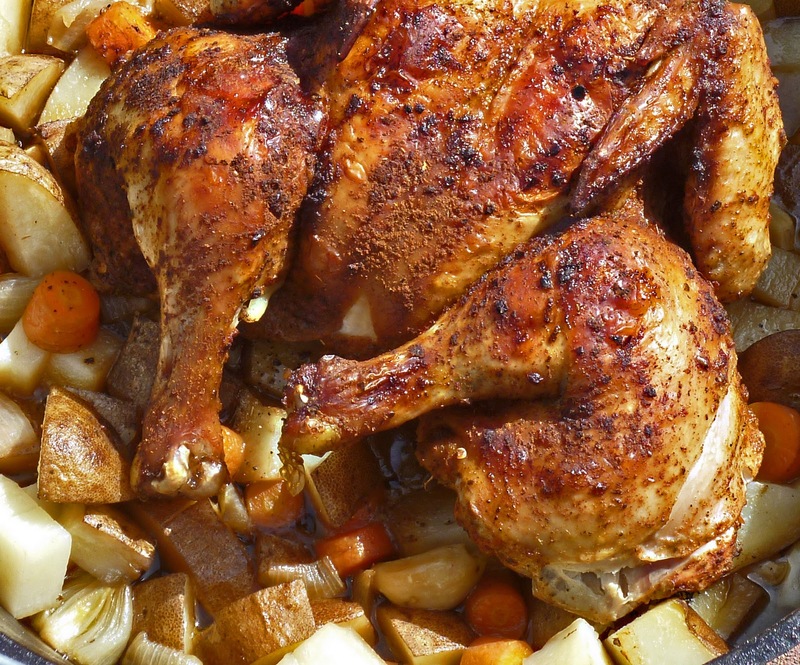 Chicken roasted over a bed of potatoes and vegetables was our final dish. A few brave Dutch oven cookers created some bread. A wonderful slow rise whole wheat bread was the first entry. 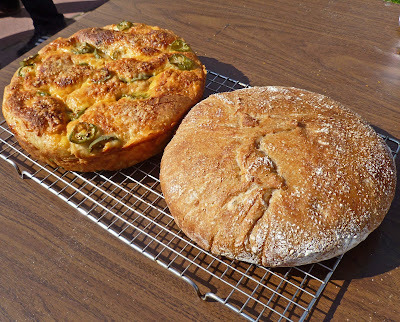 Jalapeno cheese bread which happens to be my signature bread dish was the follow up entry. It was a gooey and cheesy delight. Both these bread were still warm when they were consumed. It does not get any better than that. All of the Meat dishes were winners. We were all judges and came to a unanimous decision that every dish was a gold star winner. The Chile Verde may be the dish we have been searching for. It had all the right moves. The tri-tip was smoky fun. The rabbit was tender and mild. It was seasoned to perfection. Last but not least, the chicken was tender and had a nice spice rub to kiss your palate. Thank you Doctor Biggles for sponsoring the Dutch Oven Gathering at your abode. Once I am able to leave the couch, I will give you a call to personally thank you. Congratulation to all of the participants, It was a good day to fire up some Black Iron. 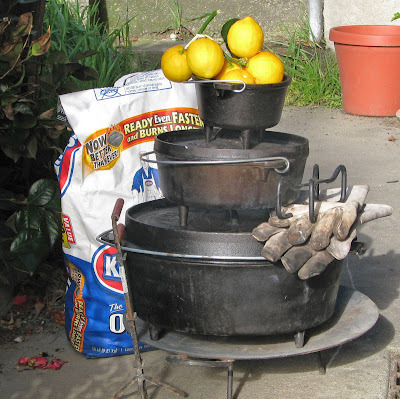 We are going to a DOG (Dutch Oven Gathering) at the 'Meathenge Labs'. The cobwebs are being dusted off the black iron. This is a massive and heavy pile of cookware. Once the fire is built, these vessels will perform their magic and transform raw ingredients into a tasty, meaty and a couple of vegetable treats. I will be making some 'Jalapeno Cheese Bread' and a spatchcock chicken laying on a bed of spuds and vegetables. This will be a gathering of Dutch Oven enthusiasts. We will be sharing our dishes and swapping some stories. Stay tuned! 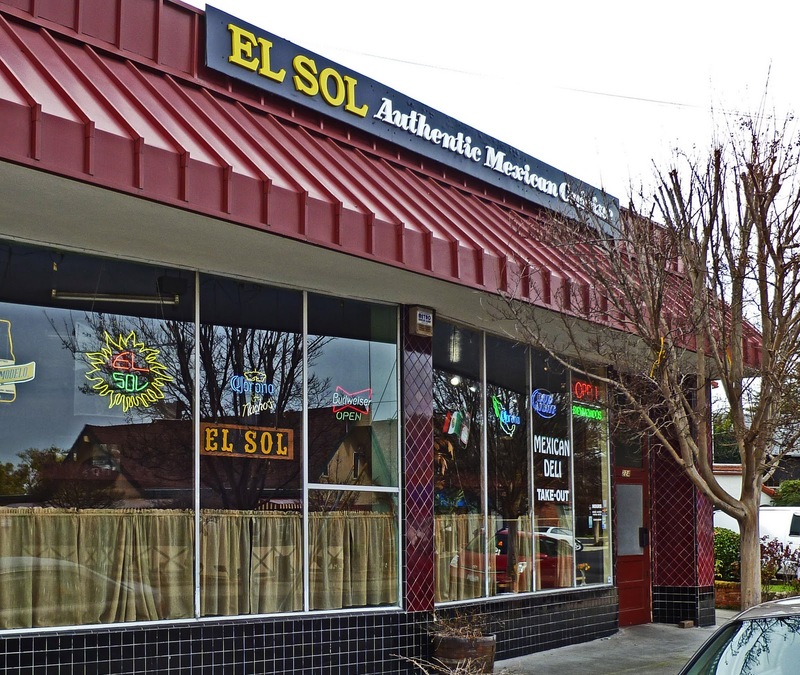 ‘El Sol’, “Authentic Mexican Cuisine, Family Owned Since 1982”, is our latest stop in our journey to find the ‘Ultimate Chile Verde’ dish. We did not travel far on this culinary excursion. 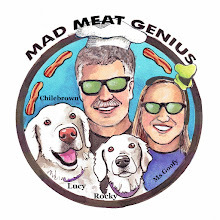 In fact we could have walked from the Mad Meat Genius meat cavern. We have visited EL Sol in the distant past when we first moved into the lovely town of Rodeo. Our experience left us with a feeling of blandness. 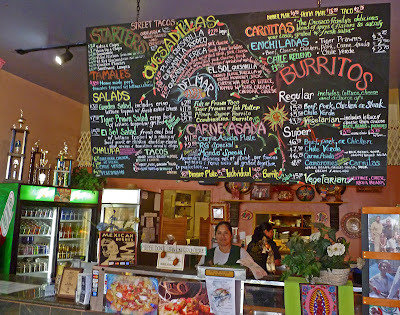 Many years have passed and it was time to re-visit our local Mexican food dispensary. El Sol is operated and owned by the Orozco family. They are very involved in community activities. The Orozco’s are one of the sponsors of little league and host a ‘Cinco de Mayo’ block party. The restaurant has a good lunch crowd of regulars from the community and surrounding businesses. Let’s order some chile verde. Dr. Biggles and I agree that a good indicator of the food to come is the chips and salsa that are provided before the meal. The chips were fresh, crisp and just salty enough to keep your doctor in business. The salsa was bland and disappointing. This salsa came straight from a can. The heat was just not invited to this party. Little plastic containers of a habanero sauce were offered for the asking. This sauce did have some heat and flavor once you got past the over seasoning of salt. 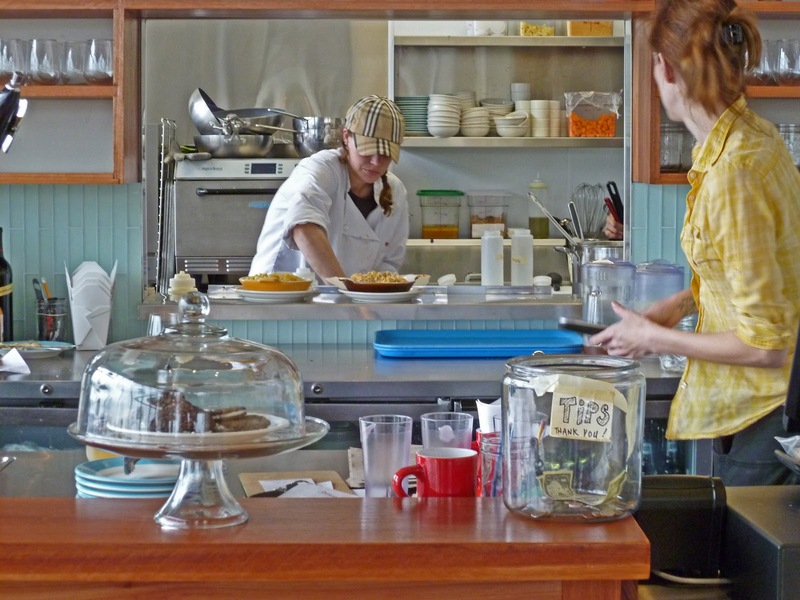 You place your order at the counter and your food will be brought to your table. The employees were very friendly and made us feel welcome. Our food was brought promptly. This large plate of pork and chile looked wonderful. The meat was tender. The beans and rice were filling. The beer was icy cold. These are the only positive things about this plate. Bland and blander was the verdict. All of the salt must have ended up in the habanero salsa. The chile taste and flavor that I crave missed this bus. Ms. Goofy enjoyed her enchiladas. 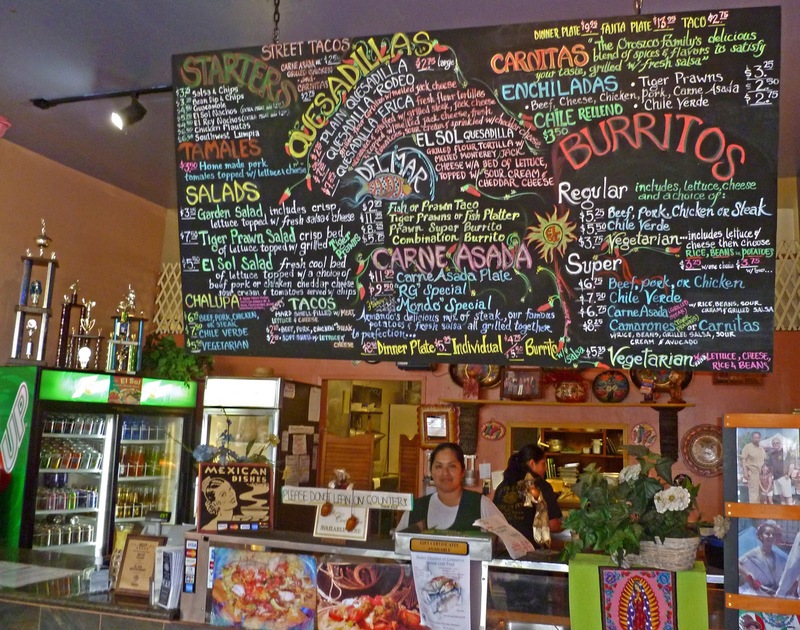 El Sol is a popular local restaurant. The Orozco family is very involved in the community. The employees are very friendly to make your dining experience pleasant. We wanted to love this establishment so very much. The verdict of Bland will stand. The journey to find the “Ultimate Chile Verde’ will continue. Summer is several months away. That does not stop Ms. Goofy from longing for a certain dish she experienced at the California State Fair. 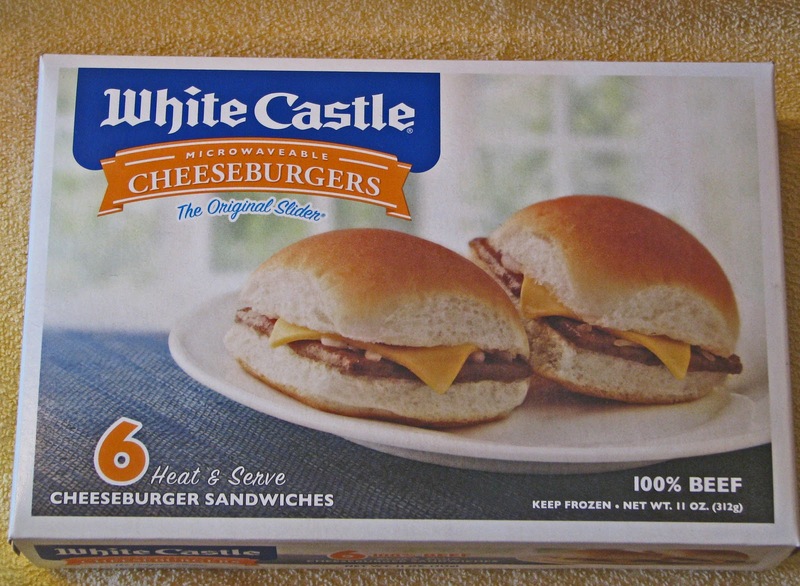 We are talking about the deep fried 'White Castle Cheeseburgers'. I do admit they were very tasty They may not be considered health food, but, if we also throw in some asparagus and mushrooms would our health transgression be minor? We came up with a batter that really rocked. It was light, crisp and flavorful. Let's fire up the deep fryer. Mix the first 8 ingredients. Take a whisk and combine enough beer to make a thin pancake batter consistency. Heat oil to 350 degrees. 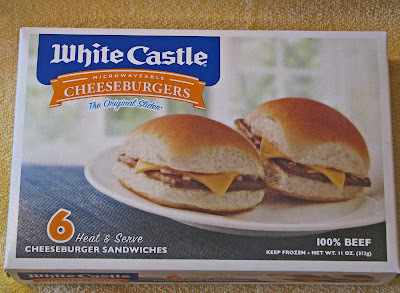 Using tongs dip frozen White Castle burgers into batter. Gently lower into hot oil. Fry for approx 4 minutes on each side or till golden brown. Drain on paper towels. 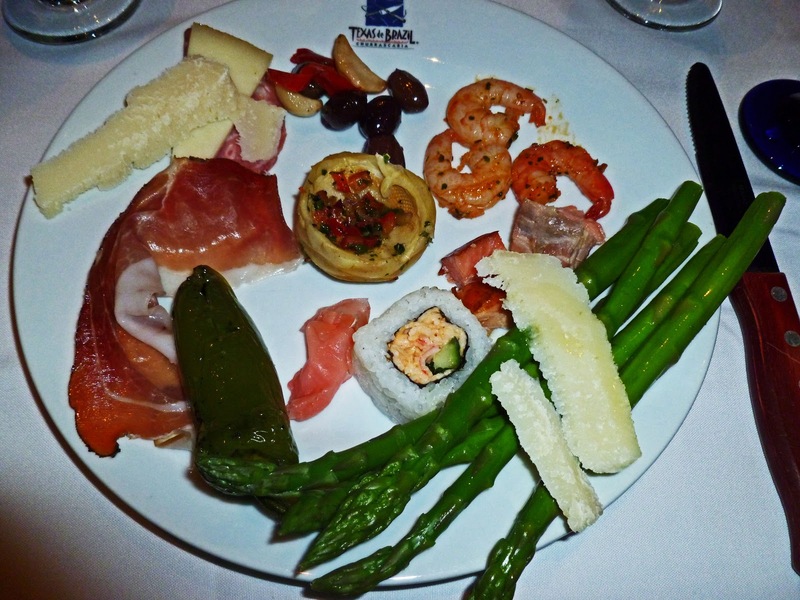 I do have to admit the asparagus was definitely, over the top and delicious. The White Castle burgers put a smile on Ms. Goofy's face. 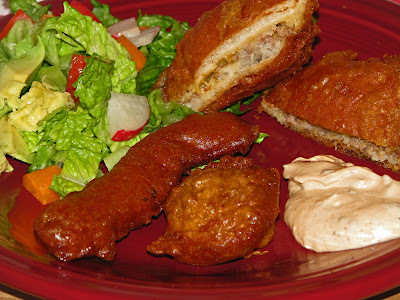 We served this with a chipotle mayonaisse dipping sauce. 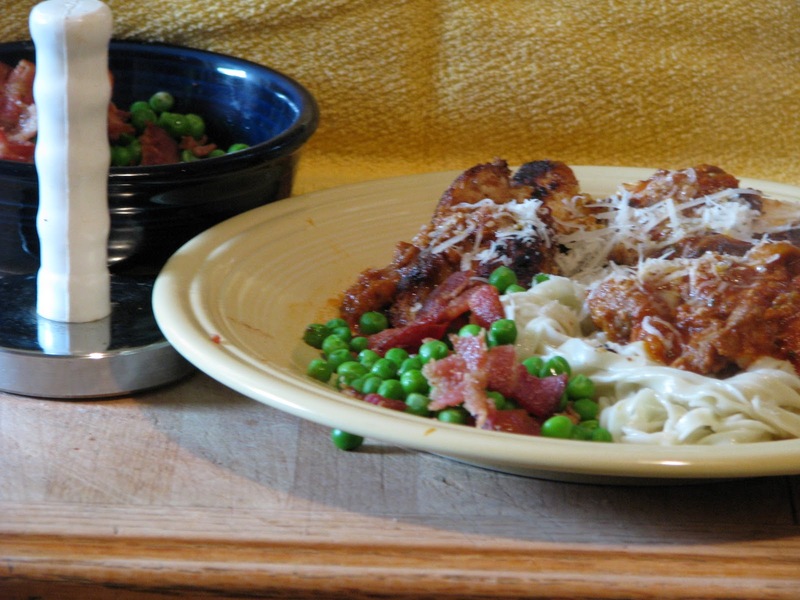 There is just something wrong about this dish that makes it so right. Ms. Goofy has declared this her new favorite dish. Meat on Meat and a salad bar on steroids. 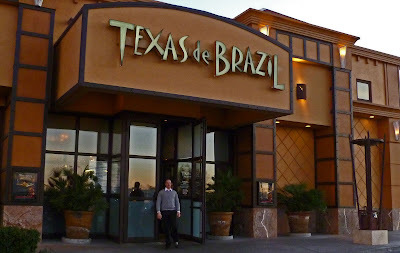 This is what we experienced at our Birthday/Anniversary dinner at ‘Texas de Brazil’ in Las Vegas, Nevada. 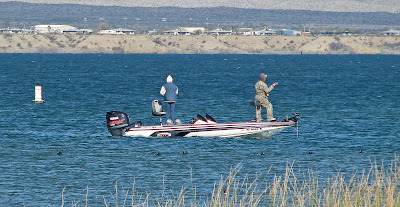 We took a detour on our way back from our meat judging at Lake Havasu. Las Vegas is destination to practice all of your vices. Mad Meat Genius has a frailty for a good steak. 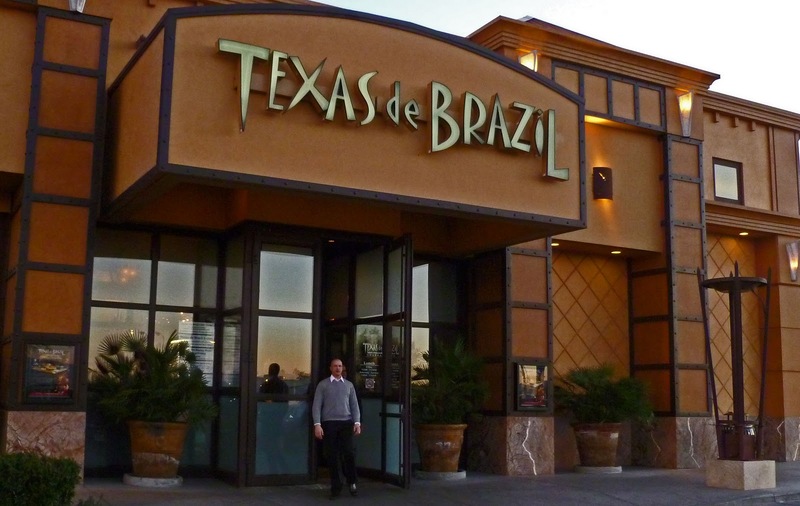 A colleague from work highly recommended ‘Texas de Brazil’, a Brazilian steak house. How could I pass up a new steak house? We made our reservations a couple of months in advance to take part at this popular meat palace of indulgence. We arrived at our dinner celebration by a yellow checkered vehicle. 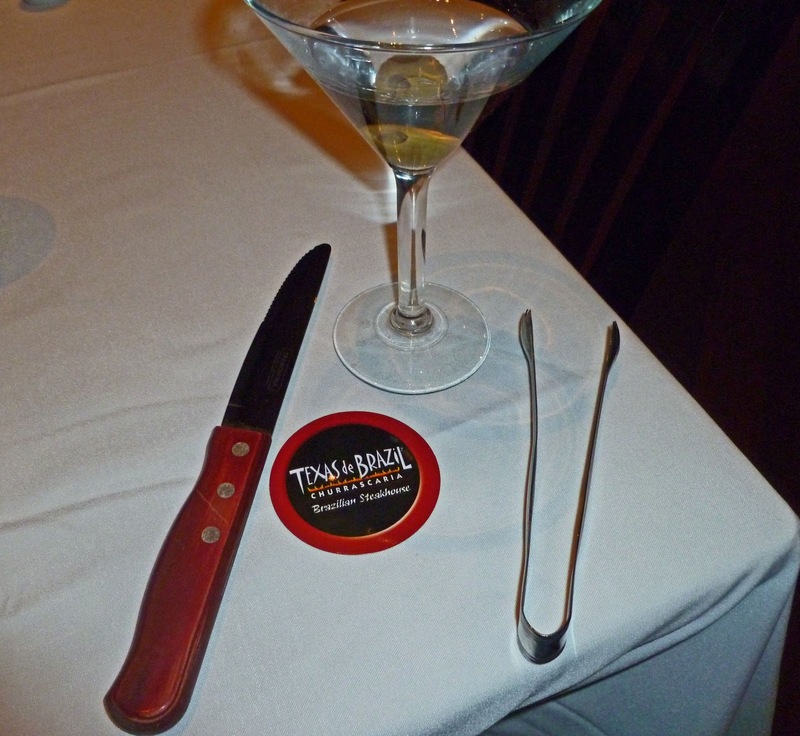 A couple of (non bacon) martini’s loosened up our taste receptacles. We have been anticipating this dinner experience for awhile. The aroma of this restaurant is of roasted meats. It is comforting and most inviting, teasing us of the meat extravaganza to come. Once we were seated our waitress gave us instructions. One first needs to take a trip to the salad bar. 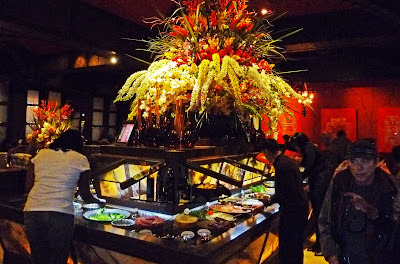 I am not sure you can call it a salad bar in the ‘Sizzler’ sense. This is a food station with very high end ingredients. Once back at your table you have a little disc that is colored red on one side and green on the other. Green means bring the ‘Meat Gaucho Servers” on and red means stop. Simple enough are these instructions. This is a salad bar on steroids. Prosciutto, peppered salami, smoked salmon, crab sushi rolls, a wheel of Parmesan, asparagus, roasted red and green peppers a designer list of imported and domestic olive oils, salad greens, stuffed artichoke hearts and a whole bevy of deluxe ingredients are yours for the grazing. I thought it would be prudent to go light on this display of indulgence to prepare for the meat flurry to come. 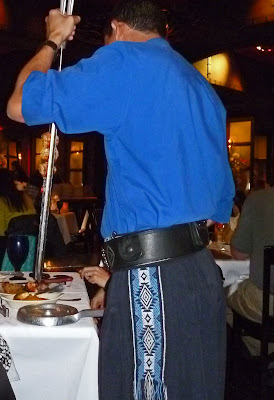 The “Gaucho’s” have their special pantalones to identify that they are meat servers. They also carry swords full of meat and very sharp knives. 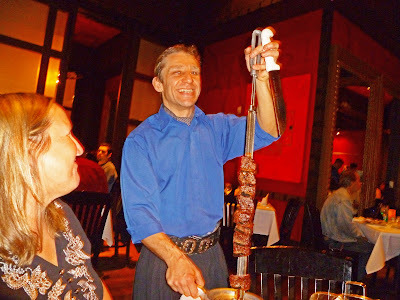 You are equipped with some tongs to help out the Gaucho when he slices some meat. Turn your disc over to green and watch the Gaucho’s flock. The Gaucho’s come to your table and will give you a slice or piece of meat that they are wielding. Are you ready for this? The Brazilian house specialty is marinated sirloin steak. filet mignon, bacon wrapped meats, sausage, lamb, skirt steak, pork and beef ribs, and so many more meats are bombarded to your table. I could not even see Ms. Goofy over her plate that was piled high of assorted meats. We had to flip over our card to red so we could eat our way to seeing each other again. Oh mang! This was so very, very wonderful. This is a destination restaurant. Come to Texas de Brazil; be prepared to experience a dream meat experience. What a celebration! “What a long strange trip it’s been”. 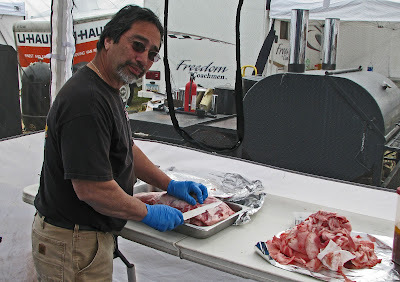 It has not been really strange, but we had a grease barrel of BBQ fun at Lake Havasu, Arizona. We spent the weekend at a man made oasis of summer lake fun. The strange part is that they brought a bridge across the pond to promote this resort area. We are talking about the “London Bridge”. 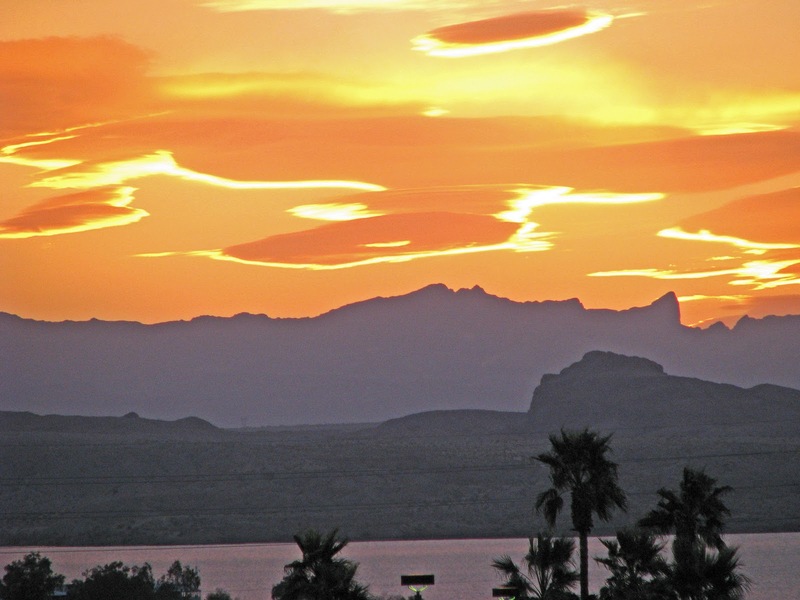 Stone by stone, this real nursery rhyme was transported to the desert of Arizona. Now the bridge is the showcase for the retirement community crew and the seasonal “Spring Breakers”. This weekend the ‘HAVABBQ’ competition took place and seventy eight brave teams showed up to cook up a storm. 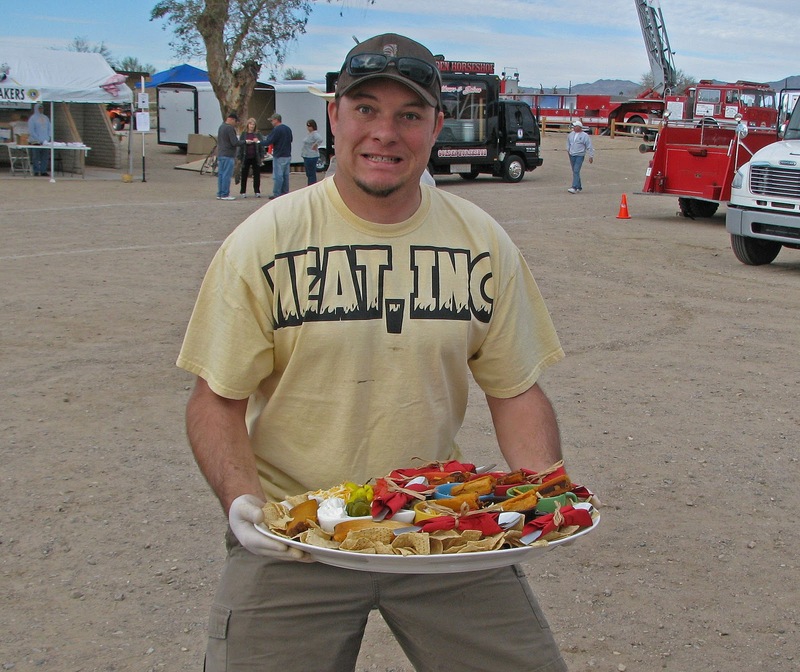 Chili, Salsa, and ‘Anything Go’s’ competition was held Friday. ‘Anything Go’s’ is a category for the goal of impressing judges. Lobster, smoked salmon, fillet Mignon and whatever possibly might sway the judges are entered. 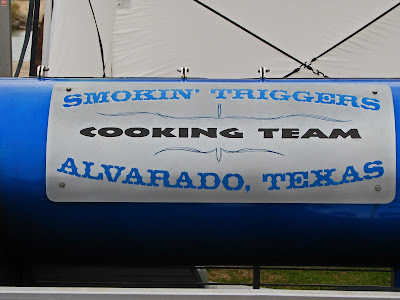 We did not judge this day because we were saving our palate for the Saturday ‘KCBS’ event of four meats; chicken, pork ribs, pork, and brisket. We did hang out at the turn in sight and drooled at some of the entries. 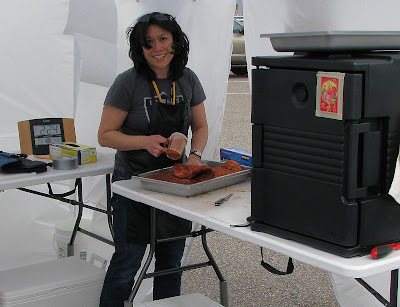 Donna Fong, our friend was here on her maiden voyage to barbeque competition greatness. 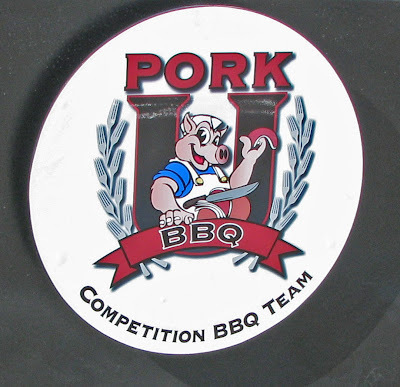 She alone turned in the four meats on time and ended up placing 34 out of 78 competitors. “Wow”, that is pretty impressive doing it all by her lonesome. 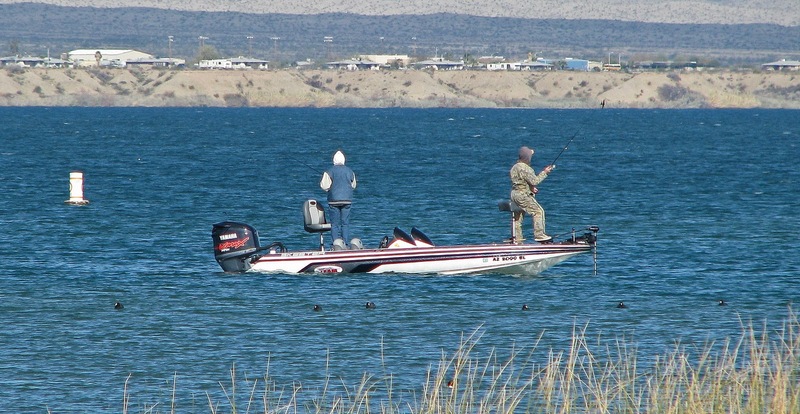 Most teams have two to six or more team members. When you turn in a meat, you have thirty minutes to turn in the next entry. Cook all night, present, turn in and do that four times is a staggering and impressive feat. We applaud you Donna! The weather at the HavasuBBQ event was a little unfavorable to the competitors. The first day was sunny but windy. The wind was a challenge to keep the barbeque pits temperature consistent. 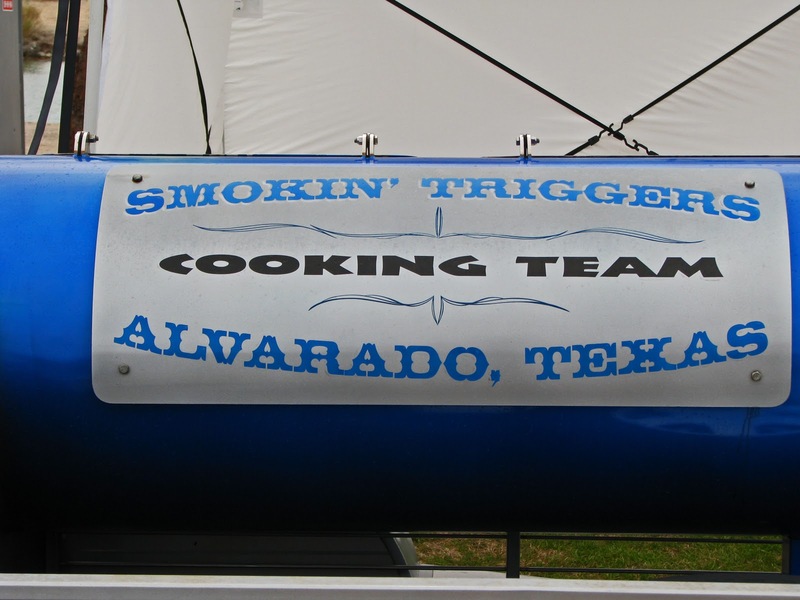 This crew of cookers took it like the champions that they are. The second day was overcast and a little chilly. Luckily a light sprinkle did not faze the public to choose the ‘Peoples Choice Award”. Ms. Goofy and I were wearing our judge’s badges. We were here to taste the best bbq meats in Arizona. We were not disappointed. 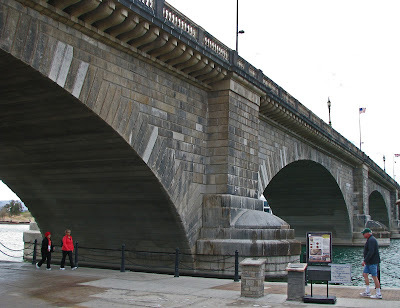 The ‘London Bridge’ was very Kool and now I understand the style. “HavaBBQ is a great family event. Donna Fong is a new competitor that needs to be reckoned with. 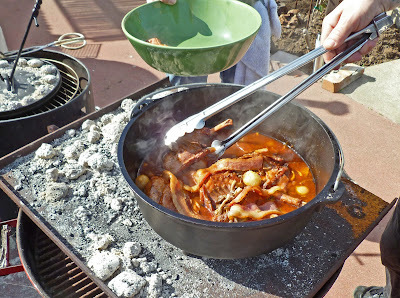 It is the start of the 2011 BBQ season and we are excited. Does anybody have a toothpick? Congratulations to 'Brazen BBQ' . Here is the complete Winners list .